Steven Staryk is truly a legend. For those violinists that haven’t had the opportunity to watch him perform live or have a lesson with him, the next best thing is to check out the orchestral parts edited by Steven Staryk published by Ovation Press. Thank you for your comment. I very much agree. 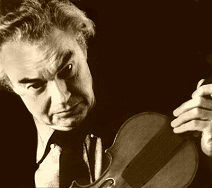 He is a Canadian violinist …excellent player in his time ..